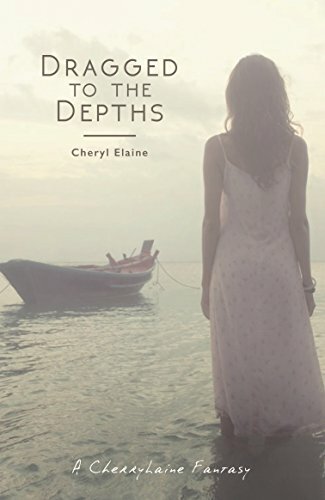 Today is my stop on the blog tour for "Dragged to the Depths" by Cheryl Elaine. My stop features my wee review, if you like legends and romance you will love this book! Tormented with grief after losing her father, Emilia journeyed to her gran's, in a desperate attempt to escape the memories surrounding her. But once there, she found little rest and respite on the remote Orkney islands after discovering a supernatural world under the sea. The gods, goddesses and unfamiliar species of Mother Earth's oceanic lands welcomed her with open arms - particularly Erox, the love of Emilia's life. Her eyes were opened to the greed and hatred of her fellow mortals; it wasn't a question of whether she was simply following destiny - she knew the path to RESET was one she could not ignore. Erox smiled before giving Emilia a lingering kiss. She didn't hesitate, and gave herself freely to the vortex before heading into the unknown. Could she save herself, let alone everyone else on the planet? Guys, first thing to say is this is not normally a book I would read but it is set in Orkney and it has mystical sea creatures. I LOVE mythical creatures, we grew up with tales of selkies, mermaids and magical creatures in the waters so this piqued my interest. Emilia heads to the Orkney islands with her mother who is struggling with addiction after a bereavement. Emilia's gran Rose takes over her care and allows Emilia to process her own grief, loss and sadness. This is what draws Erox to Emilia, he knows it is a love that cannot be however both cannot deny the powerful draw of love and give into their feelings. Obstacles in their way, barriers you can only imagine and their union kicks off events that had consequences for the world as we know it. There is a lot going on in this book, teenage angst, grief, dealing with an addict mother, removal of everything she knows. Personal growth, going through her own emotions and loss then encountering someone unlike anyone she has ever met. Experiencing love for the first time and having to process who Erox is, what he represents and how he fits in our world. The magical world Emilia encounters was for me enveloping in a world I first met when I was a kid so it conjured up lots of memories for me. I think the location for the story was well chosen, Scottish waters have many a myth to them and it goes perfect with the magical world Elaine creates. Mythical creatures, love, sacrifice, power, greed, magic, family, relationships are just some of the themes in the book. 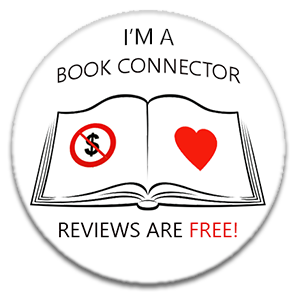 I love the world created, younger characters can put me off a bit especially when it is a deep love kicking everything off but I soon settled in and couldn't put the book down. Initially you think you can guess exactly where the story is going, soon enough I had the rug pulled out from under me, gripped, not knowing what was coming next. It is a mixed bag, immersing the reader almost from the get go and managing to surprise (I actually gasped out loud at one particular plot twist) engage and compel the reader page after page. 4.5 out of 5 for me this time, this is actually my first by this author, I have another from her but in a different genre, I will be bumping it up the TBRM. Thanks to Shell for asking me to join the tour and for bringing a wee gem of a read my way I most likely would have over looked. I think I need to go digging through my books or order some Scottish myths and legends, I forgot how much I enjoyed stuff like this! Please check out the other stops on the blog tour as everyone has different content. Great review of this book. It sounds different and very good. I usually like it when modern authors use mythology in thier stories. If well done it can make for a very good novel.